Ballycarbery Castle is listed as the tenth wonder of Ireland and situated in County Kerry. 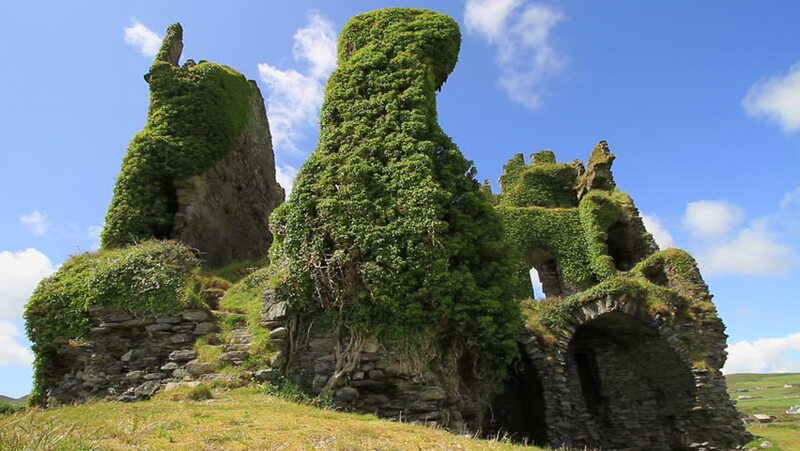 hd00:20Ballycarbery Castle is listed as the tenth wonder of Ireland and situated in County Kerry. 4k00:23Pagoda on the mountain Wat Pharputtabaht-Tamo , Doitoa district, Chiang Mai,Thailand. 4k00:22Flying over the Tumulus St Michel and its Chapel located in Carnac, a coastal city of the bay of Quiberon, Morbihan, Bretagne, France. Carnac is well-known for its famous rows of menhirs.